GINGRICH BRAGS THAT REPUBLICANS ARE COMING FOR EVERYTHING FDR ACCOMPLISHED | "Global Possibilities"
Gingrich is a close ally of Trump and was once viewed as a top contender for a cabinet position until the former speaker announced that he wasn’t interested in such a job. He praised Gen. John Kelly, Trump’s nominee to lead the Department of Homeland Security, because Kelly “actually talks about the end of political correctness,” then Gingrich warned of “left-wing rallies” that denounce Eagle Scouts. So what is this “FDR model” that Gingrich finds so odious? Roosevelt took office amidst a catastrophic depression, but he also assumed power at a time when a conservative majority on the Supreme Court choked off progressive legislation, especially laws intended to protect workers. These rigid limits on governance, FDR proclaimed a month before he accepted his party’s nomination to be president, would hobble the nation’s ability to extract itself from the Great Depression. Some of these experiments were flops. Others were smothered in the cradle by conservatives on the Supreme Court. 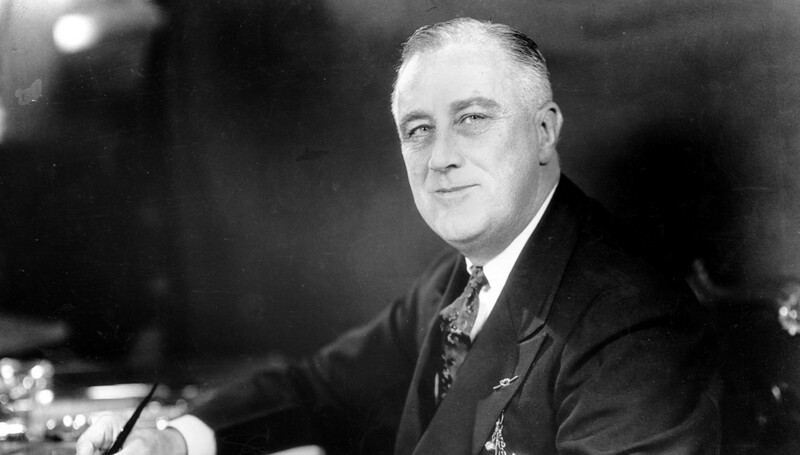 But Roosevelt’s experiments also provided workers with a minimum wage and a right to unionize. And he signed the Social Security Act, which didn’t just provide a safety net to the aged and the unemployed, but which also laid the foundation for health legislation such as Medicare and Medicaid. Roosevelt’s experiments brought modern liberalism into being in the United States, and they helped liberals prove that their model works. Early signs suggest that Gingrich’s predictions that Roosevelt’s legacy could be undone should be taken seriously. Republicans in the House hope to cut Social Security benefits by 20–50 percent. Speaker Paul Ryan’s plan to voucherize Medicare would drive up out-of-pocket costs for seniors by about 40 percent. Then he’d cut Medicaid by between a third and a half. At the very least, Republicans are serious about gutting the safety net that Roosevelt began to weave in the 1930s. Of course, Trump did say he would resist such efforts when he was a presidential candidate, but now that he is president-elect, he is stacking his cabinet nominees with Republicans broadly sympathetic to Ryan’s agenda and publicly trying to mend fences with the sitting House speaker. Trump, in other words, appears to have pulled a bait-and-switch on his voters. He promised them a kind of racist populism, hostile to minority groups but defensive of social welfare programs that most Republican base voters hold dear. And now he appears poised to slash those programs instead. Show me the exact speech where Gingrich said the words you reported in this piece?? ?